They are very respectful and very patient with people who are grieving. I think what I like best is just the overall reverence they have for the family they are working with. I would tell a friend they were very caring, efficient, and compassionate. I had a good experience with them. From the time I walked in, to the time I walked out, everything was great. I was very satisfied. I would expect everyone else to get the same satisfaction I received. The staff was very friendly. The place is clean. Everything was perfect. Duggan’s Serra Mortuary in Daly City has consistently been one of the highest rated Diamond Certified companies year in and year out. Family satisfaction with its services and staff is exceptional. Duggan’s is family-owned and operated, and its staff is focused on serving with kindness and compassion. The Duggan family has been serving families since 1885, when all funeral services in San Francisco were transported by horse and buggy. Today, the company is in its fourth and fifth generation of providing personal, family-oriented service for San Francisco Bay Area families and is celebrating more than 50 years at its Daly City location. The multilingual (Tagalog, Spanish, Cantonese and Mandarin) staff of Duggan’s Serra provides a variety of traditional and cremation funeral services for Bay Area families of all cultures and religious denominations. The company’s Daly City facility features unlimited parking. Duggan’s features six large, private chapels with comfortable family rooms, flat-screen TVs and state-of-the-art sound systems for family tributes; three convenient indoor reception rooms; and three outdoor reception areas. The company’s preplanning department is available to assist families in preplanning their funeral services “My Funeral, My Way®,” and free personal planning guides are available. Duggan’s Serra Mortuary provides traditional and modern funeral services for Bay Area families of all cultures and religious denominations. In addition to handling burials and cremations, the company offers advanced funeral planning services and helps arrange indoor and outdoor ceremonies. 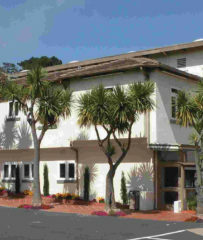 Its Daly City facility features three outdoor reception areas and unlimited parking, and its multi-lingual staff members can perform funeral services in English, Spanish, Mandarin, Cantonese and Tagalog. Planning ahead for a funeral can make the entire process easier for everyone involved. Arranging the details of a funeral can be a difficult and inconvenient task for those grieving the loss of a loved one. That’s why it can be very beneficial to take care of such arrangements ahead of time if you’re expecting the death of a family member, a friend or even yourself. One of the first things that should be addressed following the death of a loved one is the composition of an obituary notice. However, unlike other aspects of posthumous arrangements that tend to be unwelcome distractions for grieving family members, composing an obituary can be a cathartic exercise—a way to channel grief and begin the healing process. A good obituary will give surviving family members and friends an opportunity to recall the journey of the deceased by highlighting their achievements and celebrating their legacy. A: Our pricing varies depending on the situation, but we can give you all that information right over the phone. Also, if you call us to inquire about prices because you’re shopping around for the best value, we’ll happily answer any questions you have and give advice about the funeral process. Q: What kind of cremation options do you offer? A: There are a variety of cremation options available today. We can do a traditional-style service where the body is present for viewing and the cremation follows, or we can do the cremation first and follow with a memorial service without the body present. Q: Can you help me make travel or lodging arrangements? A: If you visit our website, you’ll find a list of a few different housing facilities and hotels that we partner with to offer bereavement rates to out-of-town travelers. Q: Will the same person work with my family throughout the entire funeral planning process? A: Usually, but sometimes the funeral director that handles the planning will be unavailable when the final service is performed, in which case a new funeral director will be assigned. We’re open 365 days a year, so we tell our clients that it’s more important to plan funeral services on days that are most convenient for them rather than planning around our funeral directors’ schedules. Q: Can you make arrangements if my loved one wanted their remains sent to a different country? A: Yes, and that’s something we do quite often. The Daly City area has a large Filipino population, so many of our clients elect to have their loved ones’ remains sent home to the Philippines. In those cases, we’ll hold a traditional service at our facility before preparing the shipment. We can arrange for your loved one’s remains to be sent anywhere in the world. 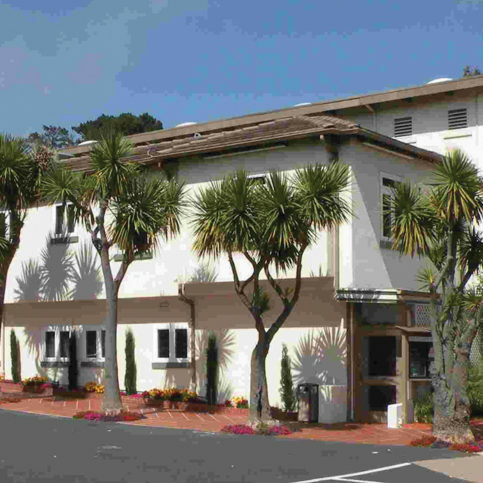 DALY CITY — When it comes to choosing a funeral home, price isn’t the only important factor to consider. For example, is the funeral home local? Many people aren’t aware that most mortuaries are owned by national corporations. 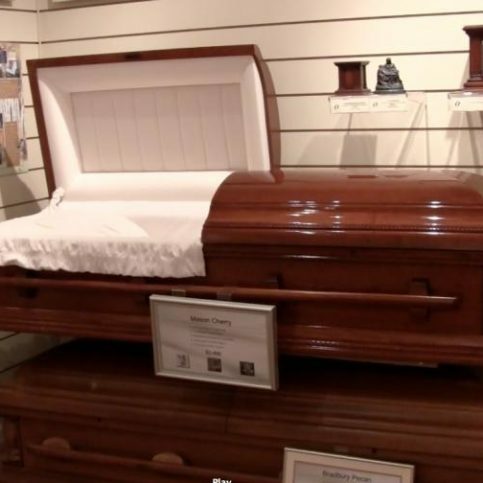 Besides providing a better overall value, a local, family-owned funeral home will provide a warm, family-oriented atmosphere, which can make quite a difference in your overall experience. The best way to get a feel for a funeral home is to visit in person and have a consultation with one of its representatives. Of course, it’s also a good idea to look at online reviews, as well as consult friends and family members who have used funeral home services in the past. By doing your homework, you’ll be able to distinguish between funeral homes that offer a high value and those that don’t. 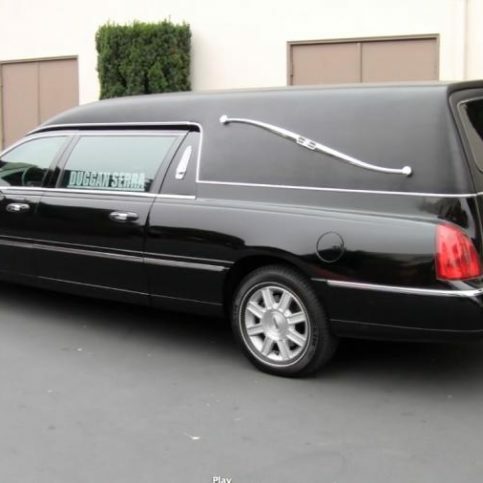 Besides assessing a funeral home’s overall quality, be sure to ask about any particular needs or requirements you have. For example, is it equipped to provide the specific type of service you’re looking for? If English isn’t your family’s primarily language, does it have counselors who can speak your native tongue? Also, if you have a large family, does the venue have sufficient parking? These are all important factors to consider when selecting a funeral home. DALY CITY — Host, Sarah Rutan: When selecting a funeral service venue, remember that price is not the only factor to consider. Today we’re in Daly City with Diamond Certified Expert Contributor Nick Proaño of Duggan’s Serra Mortuary to learn more. Diamond Certified Expert Contributor, Nick Proaño: Today’s tip: funeral services are not airline tickets. Price is not the only important factor to consider when selecting a funeral home, pre-planning, or pre-funding for funeral services for yourself, or mom and dad. First and foremost, locally-owned, family funeral homes provide the best overall value when compared to nationally-owned corporate firms. Most people these days actually aren’t even aware of the fact that most mortuaries are owned by national corporations. 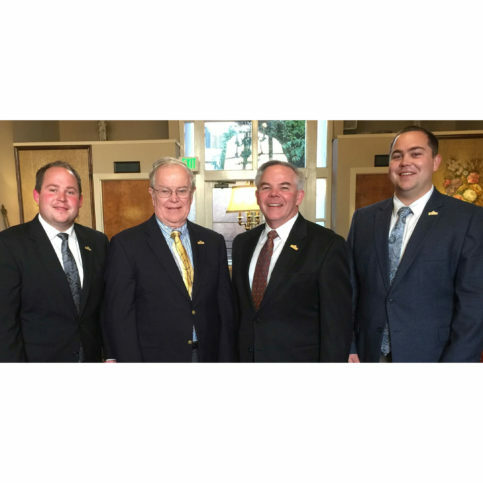 Local family-owned funeral homes provide a really warm, family-oriented atmosphere, and that’s something that a lot of folks do appreciate at their time of need. It’s important also take a look at reviews. Whether they’re online reviews, or even talking to friends and family that have used the funeral home services in the past, for their honest direct feedback. The funeral home itself is important as well. Is it equipped to handle your particular needs? These needs include religious needs. Do the counselors themselves speak your native tongue for your family members that are attending services? And, finally, does the mortuary have sufficient parking? Especially with large families. These are all very important factors to consider, besides price, when selecting a funeral home and pre-planning for funeral services ahead of time. Duggan’s Serra Mortuary : Average 9.6 out of 10 based on 303 unique customer surveys of customer satisfaction. I like their service and the care. I highly recommend them. The service is great, prompt, and they answered all my questions that I had. I would say mainly the service, the staff was very friendly, very helpful. It was just a great service. They are very helpful, very sympathetic, and very delicate as to how to handle someone who has passed away. Helped me and assisted me in bringing my mom's ashes out of the county. They did the paperwork and I didn't have to think about it. Family has used them for years. They're the only mortuary we go through. The counselors, we had two different ones and they were both great and very personable. First of all, they're very welcoming, their service is great and I think they have the information you're looking for for that type of need. They sympathize with what you're going through and it shows in their service. I have no complaints whatsoever. I think they did everything they could and did it very well. They're very good, very sympathetic, very good. The way that you're treated, there's a lot of sympathy and they help in any way they can. They understand what I needed and they had good service. I think they did a good job. Just that they're compassionate and they make the process as painless as it can be. It was frankly a bit of a blur. I would recommend them, they were kind and friendly. They did a follow-up and they still write to me, which I think is nice. They are very professional. They went one hundred percent out of their way. They were very helpful and they helped us make choices with everything, I just can't say enough. We were so satisfied. They're very sensitive and they do everything to your needs. Their mannerisms and how they carry themselves. For being as young as the young man I dealt with, it was very impressive. I usually tell them they're very reasonably priced, very accommodating, they know a lot about the different religious rituals involved, and are very sensitive to that. Very quiet, very clean facility, and the staff is very warm and friendly. They were very kind. I definitely recommend anybody to go, not that it's a good thing to have to recommend. They were very attentive and they're the best. They were very helpful and understanding. They took care of my needs. To use their services, they seem to be well-versed in what they do and they made it easy. They set me up financially to be able to bury myself and daughter, to make some payments.